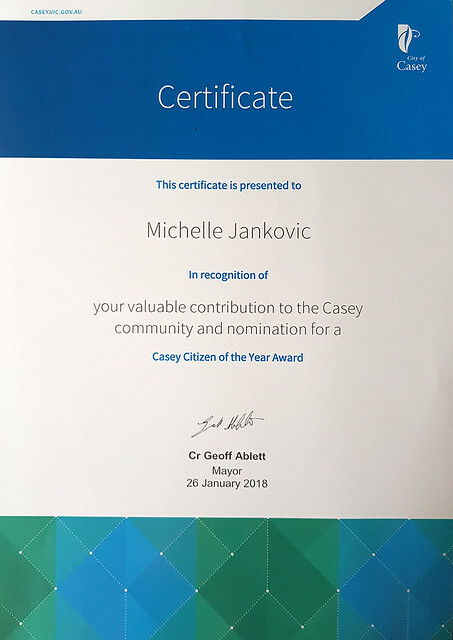 Congratulations Michelle for being nominated for City of Casey Australia Day awards. Michelle was a member of Council’s Access and Inclusion Advisory Committee. Giving a voice to residents with a disability. She used to run workshops for families in local schools about healthcare services. Michelle is also passionate about wheelchair basketball. 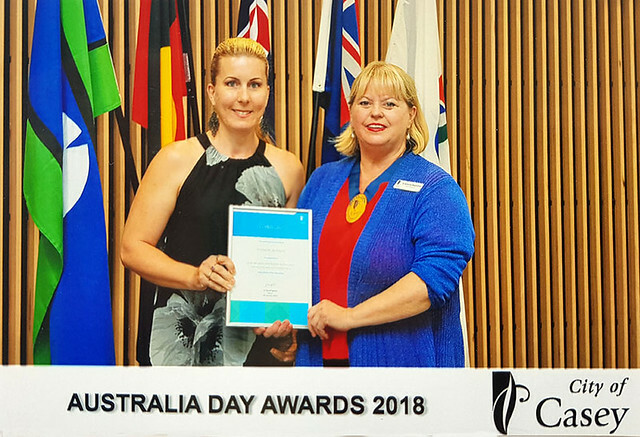 Her aim is to encourage maximum community participation in sport for individuals with disability and medical conditions. For further information or purchase MyCare information system, visit www.helpinghandishere.com.au.